We are about to see the emergence of a MOOC data/analytics ecosystem. Part of the value proposition to partners who sign up to deliver courses on a given MOOC platform is the access to high quality data on what happens with those courses. Arguably, what may differentiate one platform from another is the quality of data, and the provision of integrated analytics tools to help partners make sense of the data, and build their institutional capacity in this field. This piece is not about interoperability standards and protocols, but about how trusted partnerships may emerge to assist ethical data sharing within and between MOOCs, in order to turbocharge educational innovation — one of the primary reasons that institutions are dipping their toes in the MOOC space. Let’s start with the MOOC-Partner-Course (MPC) framework. Firstly, in any sector, taking on the burden of hosting a platform means you have privileged access to all the data in it — you have to manage it on a sustainable basis, and there is potential business value in it. Now let’s view it in terms other than siloed organisations. Disciplinary Partnerships: How can we teach X better? MOOC1-Partner1-Course1 (M1P1C1), M2P3C7 and M3P27C99 are all teaching aspects of climate change, and agree that there is mutual benefit in sharing the data from their courses. They’re trying to drive innovation in their faculty after all. I could draw the permissions table following the above convention, but you get the idea — access now crosses the MPC boundaries. Pedagogical Partnerships: How can we use this learning design better? M4P2C8 and M8P77C5 are very interested in how best to scaffold working practitioners’ action research, enquiry-based learning in a MOOC context, regardless of discipline. They put out a call for others who share this interest, recruit 6 other MPCs, and design their project. MOOCs provide an unprecedented opportunity for educational research, and there are many more researchers out there than there are Partners signed up with MOOCs. Researcher1 approaches the faculty behind M4P2C8 and M8P77C5 to see if they are interested in investigating her specific Research Question. They are, but also suggest other MPCs get involved as well, and 3 other MPCs accept the invitation. Partner institutions fund the pilot work, which is so promising it provides the basis for a full grant proposal to a national research council. Access to the dataset from these or any other researchers in the future obviously requires applications from trained researchers who follow ethical standards. Analytics Partnerships: How can we optimize the above processes? As data sharing practice begins to establish itself into a set of patterns, MOOCs 1, 2 and 3 understand that part of their value proposition depends on offering Partners the above flexibility. (Other MOOCs and Partners are pursuing business models for which this makes less sense.) So M1-3 develop the MOOC Interchange Format (MIF) to assist flexible collaborations. Moreover, M1+2 are particularly interested in embedding integrated, easy to use analytics tools into their Partner admin interfaces, while others leave it to Partners to figure out how to analyse the data with third party tools. The wider learning analytics research and vendor community may in any case have more capacity to develop that third party ecosystem, in which it is expected that tools can import and export MIF. 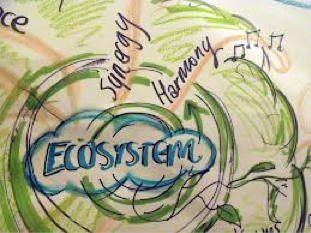 Does this vision of the emerging ecosystem make sense to you? What other scenarios do you see? The recent AIED2013 MOOC Workshop http://www.moocshop.org has two papers from MIT proposing technical standards for extracting and analysing cross-platform MOOC data. Veeramachaneni et al. in particular emphasise the sharing of scripts to help make sense of standardised MOOC data, not the sharing of the raw data itself. I’m still figuring out the relationship between these two MIT streams of activity. Sounds like edX Insights has a broader ambition, but that “MOOCdb” should be seen as a candidate for the “missing schema data model” that Piotr appeals for.